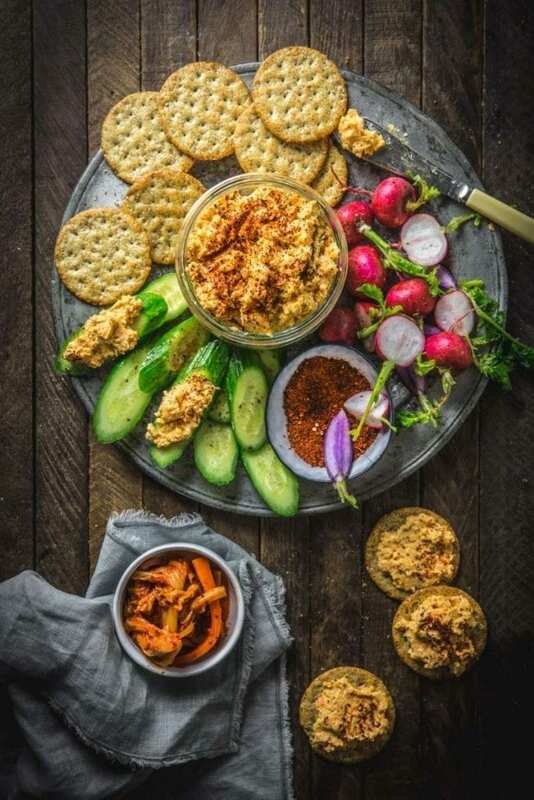 Pimento cheese, the iconic spread of the American south, turns out not to be very southern at all – at least in terms of its origins. It’s so associated with the south that it’s hard to imagine the spread (a mix of cheddar cheese, cream cheese, mayonnaise and diced red pimentos) as coming from anywhere else, but our friends at Serious Eats did a little digging and discovered that pimento cheese actually got its start up north, in New York, as a way to market the burgeoning production of cream cheese. In the 1870s, New York farmers started making a soft, unripened cheese, similar to Neufchâtel, that eventually evolved into cream cheese. Around the same time, Spain started exporting canned red peppers — or “pimiento” — to the United States. 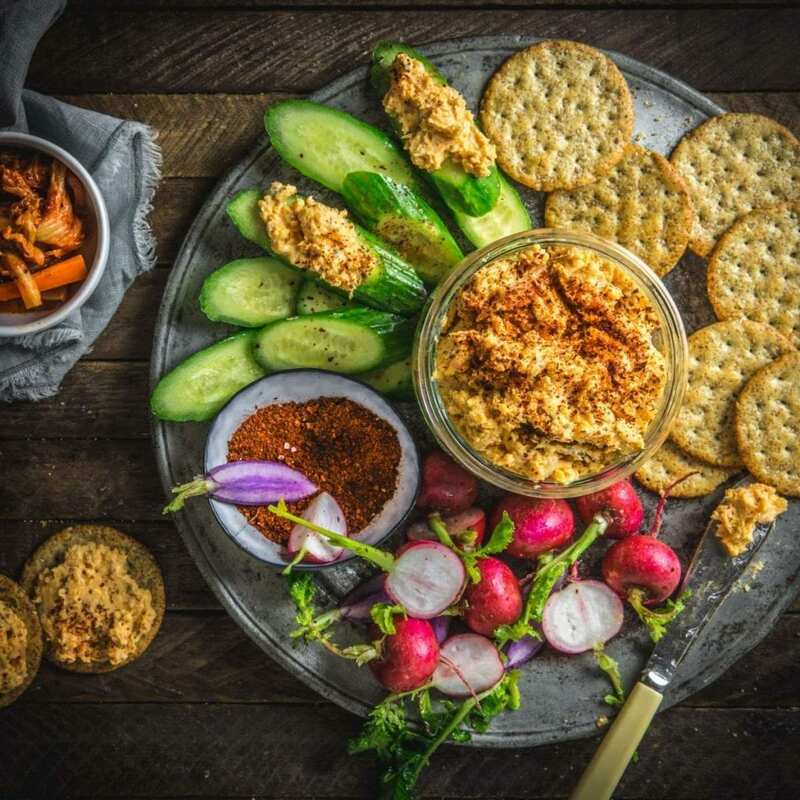 Eventually a combination of the cheese, peppers and mayonnaise became the spread we know today and like any good origin story, the lore soon outgrew its humble beginnings and pimento cheese became a staple of church picnics and neighborhood potlucks and fancy restaurants all over the southern U.S. 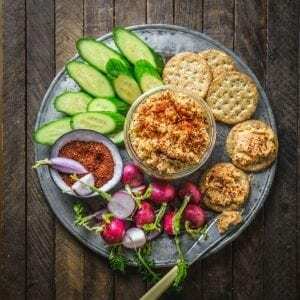 While most loved between two slices of bread, the cheese spread is versatile enough to lend itself to a variety of uses – as a dip, as a topping (think cheeseburgers, or our favorite, patty melts), and even as a stuffing for meats like chicken breasts, or pork chops. Our shared experience of pimento cheese, as a Northerner and a foreigner, was rather limited until we took a trip through the South this spring, and ate a burger at Boiler Room topped with the stuff. While we were in love with the flavor, the ironic thing is that neither of us is much of a fan of sweet peppers (or more accurately, they’re not a fan of us. Ahem). But since we happened to have a big fresh jar of home-made kimchi in the fridge, it seemed like a natural evolution to replace the peppers with the spicy, garlicky pickled cabbage. The chili in the kimchi gives the piquant cheese the spicy kick it needs, with that very distinct and deliciously funky fermented twist. We also added a little extra gochugaru, the chili powder used to make kimchi, but you can leave it out if you don’t have any, or add another spicy chili powder, like cayenne, if you want more heat. One note: we don’t recommend using pre-shredded cheese for this, since it’s often coated with additives to keep it from clumping. A food processor fitted with a shredding blade makes quick work of a block of cheese, if you have one. And the regular blade is also a great tool for finely chopping the kimchi (though be careful not to over-process it. You want little pieces, not a paste. Just a few pulses should do the trick). Okay, two notes. If you’re vegetarian or gluten free, make sure you use a vegetarian and/or gluten free brand of kimchi, unless you make it yourself. The two brands we recommend are Surasang and Mother-In-Law’s . Add all the ingredients except salt to the bowl of a stand mixer or a large mixing bowl. With an electric hand or stand mixer fitted with the paddle attachment, mix on low until combined, then turn on high for 1 minute. Taste and add salt, as desired. Refrigerate in an airtight container for at least an hour before serving.